RUSSIA: Vestas will produce about 300 blades a year at its new factory in Ulyanovsk in the south-west of the country, the Russian Association of the Wind Industry (RAWI) has announced. The manufacturer aims to start producing blades for turbines for its 3MW platform from early 2019, and may take on blades for the 4MW platform in the future. Blades for Vestas' 3MW turbines range in length from 57.2 to 66.7 metres. Construction of the RUB 1 billion (US$14.3 million) facility has already started and is about 60% complete, according to RAWI. Vestas is already producing nacelles for its 4MW platform at its factory in the neighbouring province of Nizhny Novgorod, and plans to set up a tower facility in Rostov, as part of its efforts to set up a manufacturing hub in south-west Russia. Kimal Yusupov, Vestas Russia’s managing director, said: "In addition to the infrastructural commitments, the plant will create sustainable hi-tech jobs in Ulyanovsk upon completion of construction works. "The localisation of wind power plants in Russia will allow our country to not merely develop renewable energy, but also to create new promising areas for domestic power engineering." Vestas announced its intention to set up Russian manufacturing facilities to comply with the country’s strict local content laws, after being named the chosen supplier for the 1GW capacity won by a joint venture (JV) of Finnish power company Fortum and Russian technology giant Rusnano in June 2017. 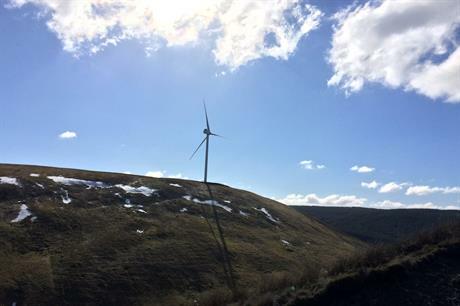 The JV then won a further 823MW in Russia’s most recent wind tender in June 2018, but has yet to name a preferred turbine supplier. Vestas partnered with Rusnano and the Consortium of Investors of Ulyanovsk Oblast to build the blade factory. The factory is expected to create more than 200 new jobs, while the nacelle factory in Nizhny Novgorod has created about 50 jobs.